These 10 LOST quotes from seasons one and six will make you want to head back to the island all over again! Check them out! 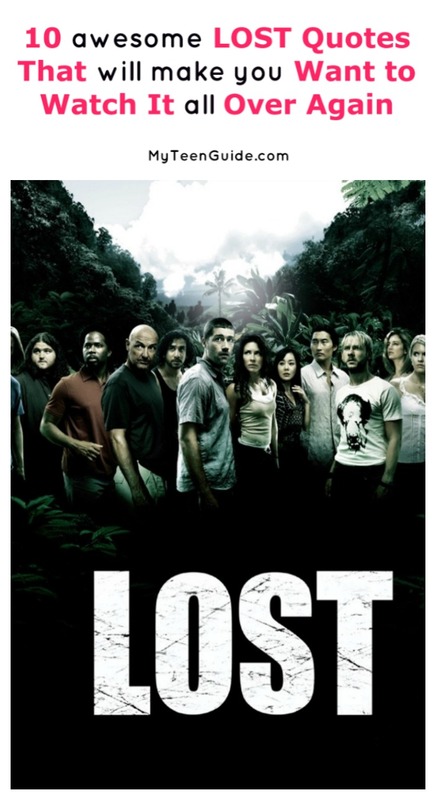 Lost is a television series that combined it all: adventure, drama, mystery, science fiction and supernatural. The series aired for 6 seasons on ABC, from September 22, 2004 to May 23, 2010. Season 1 aired for 25, from September 22, 2004 to May 25, 2005. Here are some of the best quotes from the 1st and last season! Ironically, turns out that the rules for backgammon turns out to be the central theme of Lost. Locke appears in this scene during a flashback, where it is revealed that he is in a wheelchair due to an injury he sustained when his father, Anthony Cooper, pushed him out an 8-story window. When Oceanic Flight 815 crashed, Locke was no longer paralyzed. Christian is Jack’s father, who worked as a neurosurgeon until Jack exposed his alcoholism. Christian heads to Australia, where he dies and Jack is bringing back his father’s body in a casket when Oceanic Flight 815 crashes. James Ford goes by the name Sawyer, an alias. The real Sawyer is responsible for conning James’ parents who went by the alias Tom Sawyer. James took the name Sawyer for himself, when he becomes a con as an adult. Leslie Arzt holds a Doctorate degree and teaches high school science. He often feels left out of missions and adventures that Jack Shephard, John Locke, Kate Austen and Hurley. The Man in Black is Jacob’s twin brother, also known as The Black Smoke or The Monster. Charles Widmore is Penelope Widmore’s father. Penelope is married to Desmond Hume. Richard Alpert is Ben Linus’ ageless advisor. Miles Straume, hired by Charles Widmore, is a spiritualist who can read a deceased person’s final thoughts. In the series finale, Jack sacrifices himself so that his friends could escape the island on the Ajira plane. Throughout the six seasons, there were SO many profound LOST quotes that it’s hard to pick just a few. I recently rewatched the entire series and it’s amazing how much you miss the first time around. This is definitely one of those shows you have to watch a few times! Do you have any favorite LOST quotes? Share below!